ANAHEIM, Calif. – They gathered one last time as a team in the locker room at the Honda Center. Gonzaga head coach Mark Few knew there was nothing he could say that would mend his players’ broken hearts or slow down their tears after Saturday’s 75-69 loss to Texas Tech. “As I explained to them, this emotion wouldn’t be running like this if we didn’t care and there wasn’t an incredible amount of love in the program,” Few said. “From player to player, to coaches to players, to staff members to trainers, and it was real. 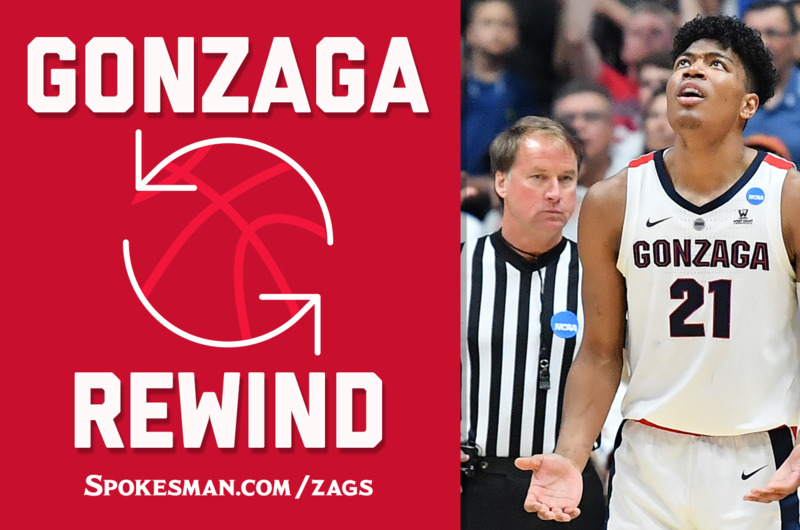 More in the final Gonzaga rewind of the 2019 season. It was arguably the most emotional locker room scene following a season-ending loss in the program’s 21 consecutive NCAA Tournament appearances. That includes 2017, when the Zags led North Carolina in the title game with less than 2 minutes remaining, and the 2005-06 team, which blew a sizable second-half lead in a bitter Sweet 16 loss to UCLA. The outpouring of emotion was the product of a tight-knit team that believed it was going to win it all. The loss was still too fresh in their minds to try to put the 33-4 season into perspective. It was a battle between Gonzaga’s top-ranked offense and Texas Tech’s No. 1-rated defense, but the subplot was the scrap for tempo control. The Zags, looking to run whenever they had an opportunity, had the pace to their liking in the first half. Gonzaga scored 11 points in transition and produced a healthy blend of paint points (12), 3-pointers (four) and free throws (eight). Texas Tech reeled in the pace in the second half, and the Zags struggled to score in the half court. The turning point came when the Zags managed just three points – a Brandon Clarke dunk and a Hachimura free throw – over a 6-minute, 30-second span. The Red Raiders didn’t exactly light it up during that stretch, but they moved in front 56-53. Gonzaga suffered through another near 3-minute drought before Clarke’s free throws cut Texas Tech’s lead to 63-60 with 2:10 remaining. Gonzaga’s defense was the driving force in three NCAA Tournament wins. The defense was far from perfect Saturday, but it gave the Zags a chance. The defense kept Gonzaga close during the offense’s second-half dry spells. The Red Raiders had three turnovers in the final 41 seconds, two that allowed Gonzaga to cut their lead to 69-67. Texas Tech standout guard Jarrett Culver had the full attention of Gonzaga’s defense. He scored 19 points, but made just 5 of 19 shots, including 2 of 8 on 3s. He hit 7 of 8 free throws. Mooney, who had 17 points and five assists, and Davide Moretti, who scored 12 points and made two key 3-pointers, helped the Red Raiders survive Culver’s off night. Published: March 31, 2019, 8:14 p.m. Updated: March 31, 2019, 9:19 p.m.